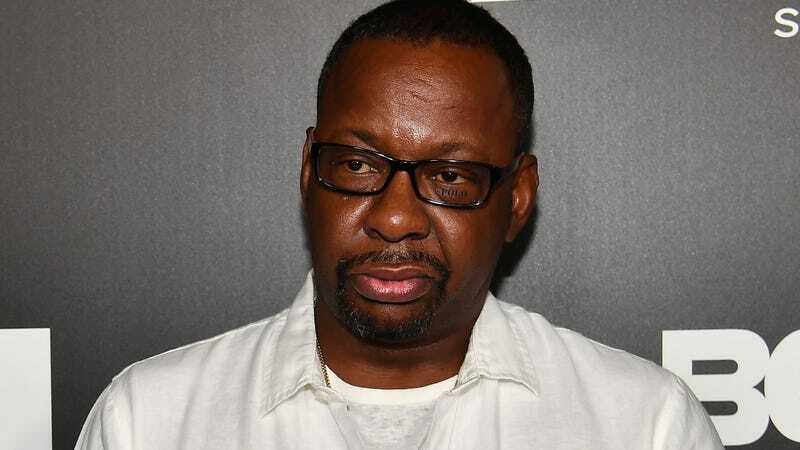 King of R&B Bobby Brown filed a $2 million lawsuit naming Showtime, the BBC, and producers of Being Bobby Brown among its defendants over what his complaint claims is 30 minutes of unauthorized footage in the 2017 Showtime/BBC documentary Whitney. Can I Be Me? Brown’s suit, which refers to the singer as “legendary” (fair! ), was filed Tuesday in New York District Court and was obtained by Deadline. It contends that over 30 minutes of footage featuring Brown and various children of his, including Bobbi Kristina Brown, who died in 2015, appears in the film without his consent. At least some of this footage was shot for his 2006 Bravo show Being Bobby Brown. Two of that show’s producers, Tracey Baker-Simmons & Wanda Shelley, as well as their company, Simmons Shelley Entertainment LLC, are also defendants in the suit. Except where required by law, both parties shall keep confidential the Project and any ideas, concepts, stories plots, themes or other material related to the Project unless express written consent is provided by the parties. Neither party shall: circumvent the other’s role and anticipated financial compensation in connection with the Project or other unscripted television programs; negotiate a side deal with any third party in the which does not include the other party; or any way attempt to circumvent the spirit and intent of this Agreement. [Simmons Shelley Entertainment LLC], [Baker-Simmons and Shelley’s former company] B2, Simmons and Shelley have (1) circumvented [Bobby Brown]’s role (2) have negotiated a side deal with a third party to make the [Bobbi Kristina Brown] project with includes information obtained and associated with the show “Being Bobby Brown” and (3) circumvented the spirit and intent of the Agreement in violation of paragraph 6 of the Agreement by utilizing information, concepts, ideas , materials and footage obtained during the production of “Being Bobby Brown” to make the movie “Can I Be Me” without the consent RB. Additionally, Brown’s suit claims Baker-Simmons and Shelley had no rights to the footage or to sign it over since B2 dissolved before 2009. It continues: “All the Defendants were informed in 2017 that the Plaintiffs’ rights have been violated, however, the Defendants continued to air the film with the knowledge that the use of the Plaintiff images and likeness were not authorized.” The movie has aired around the world, including on Showtime in the U.S. and BBC Two in the U.K. In my eyes, the Being Bobby Brown outtakes are some of the most fascinating material in that documentary. Neither Broomfield, nor his co-director, Rudy Dolezal, are named as defendants in the case.